Susie Sue is finally back. You can tell from the size of her crack. Kory is not amused. Roy looks abused. And Jason is bringing up the slack. I wished that these people were as well. Writer: Scott Lobdell; Artist: Kenneth Rocafort; and Publisher: DC Comics in May 2012. Though it could just be the way they are sitting. 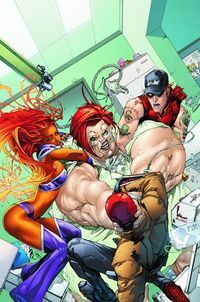 In 'Last Regrets, I Had A Few', we see Jay, Roy, and Kory, primed and ready to make some fat b*tches life a living hell. You see, portly Hong-Kong crime boss, Suzie Su, wants to get her own back on Jason Todd, because this red-hooded rascal shot her into a coma quite a few issues ago. Therefore, for Suzie to carry out her revenge, what she does is to lure Jay and his pal's back to Gotham City, by holding a hospital full of sick children hostage. Well, let us just say our trio to turn-coat troublemakers make short work of Suzie and her ruse. Inadvertently making them be in the right place, at the right time, to hear Alfred, Batman's butler, send out a distress call to all of the Bat-clan in the vicinity. 'The Court of Owl's are on the prowl, we need your help Obi Wan-Kenobi, you're our only hope'. So do you think that Jay complies with this call for help? Maybe. If Tim Drake has anything to say about it he does. "Can you help me? I'm looking for the cosmetic surgery ward. You can't tell in this light, but I really hate my nose". Ha! What a joker! Plus I liked Jay's and Tim's conversation in its entirety. Very revealing. The little nods and winks to continuity was a blast to read in this issue. For example, that whole scene between Jay and Tim was just a joy overall, especially that pre-cursor to the Teen Titan book, relating to the Cassie Sandsmark. Moreover, I did like how the gang are starting to gel as a team, making this dysfunctional family really click on more than one level. I suppose in hindsight, the whole Suzie Su segment was just an excuse to get 'The Outlaws' in Gotham City. Still, it worked as a tale on its own. So this is only a small gripe really. STORY: Although this story was obviously a story divisible by two, I have to admit, that it did not really feel that way whilst reading it. Personally speaking, I put this down to the way that writer, Scott Lobdell, has managed to layer in his jovial tone throughout this book, allowing this tale to feel like a running narrative. ART: That whole fight scene between Jay and Suzie was very funny to look at. I could almost envision what it would look like in real-life - half amusing, half baroque, and all style. Good on you artist, Kenneth Rocafort, you have just made the implausible plausible. SUZIE SU: As Gwyneth Paltrow did that whole 'big girl' thing in the film 'Shallow Hal', I am sure that she could also do the same thing again with red hair and a fiery temper. 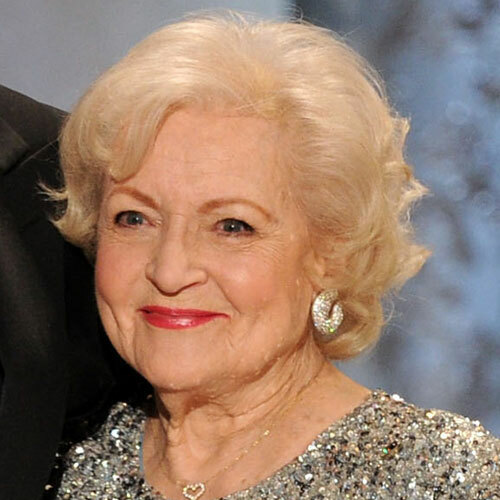 OLD LADY CRIME BOSS WITH STICK: I would love for see ex-Golden Girl, Betty White, say "Kill that snot nosed punk", particularly if she is meant to play a crime boss. Wouldn't that be age-tastic? Never Hold A Hospital Hostage. Vote Democrat. So this issue was an excuse to get the team in Gotham City for the 'Court of Owls' cross-over, right? So what is a good analogy for an excuse where 'a bird' is concerned? Oh! I know! The Cyndi Lauper song 'Girls Just Want To Have Fun '. This is one of those titles that I really look forward to reading each and every month. Granted, like in this issue, sometimes it is just a throw away tale that is leading to something else. Nevertheless, 'throw away' where 'The Outsiders' are concerned, is still better than a lot of comic books out there.